The Nokia X6 was supposed to get launched on April 27, but that date has come and gone without any sign of the phone. It’s not a complete wash though, as it appears HMD Global did hold an event where it showed off the handset to a select few. 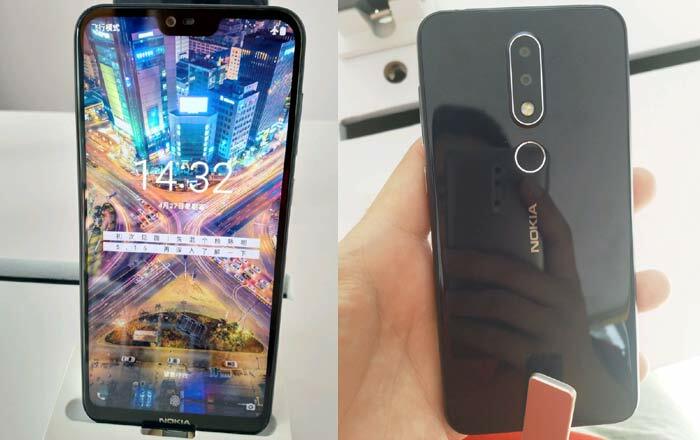 Live photos of the Nokia X6 have gotten leaked as a result, showing off the phone from every angle. The most striking design element is the notch at the top, making it the latest Android device to go the iPhone X way. The cutout houses the typical selfie camera, proximity sensor, and earpiece combination. It’s not clear right now whether the Nokia X6 will feature the same facial recognition technology a lot of other Android smartphones have embraced recently. In any case, there’s always the trusty fingerprint scanner at the back for all your biometric security needs. There are thin bezels flanking the Nokia phone’s sides, while the bottom border has just enough space to squeeze in the Nokia logo. All this reportedly adds up to a 19:9 aspect ratio housed on a 5.8-inch screen with a resolution of 1080 x 2280p. The rear surface of the Nokia X6 makes room for a pair of vertically-aligned dual cameras lined with a silver finish. The top houses the 3.5mm headphone jack, while there are speakers and a USB Type-C port at the bottom. In terms of specs, HMD Global might bless it with 4GB/6GB of RAM, 64GB/128GB of ROM, Android Oreo 8.1, a MediaTek Helio P60/Snapdragon 636 processor, and a 3300mAh battery. Its price could start at CNY 1599 (approx Rs 16820) for the basic model and go up to CNY 1799 (roughly Rs 18926) for the more advanced one. Word on the street is that the Nokia X6 will be making its debut on May 16. We’ll let you know what its official specs and cost are the moment it gets unveiled.